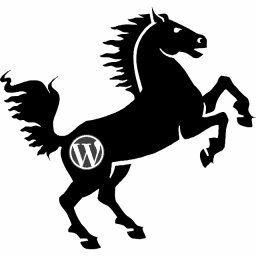 The WordPress SEO Tutorial All In One SEO Plugin Warnings article is part of a series of SEO tutorials to support the Stallion WordPress SEO Plugin and the Stallion Responsive WordPress SEO Theme. This WordPress SEO tutorial covers the Stallion WordPress SEO Plugin – All In One SEO Plugin Warnings and the Stallion Responsive Theme – All In One SEO Plugin Warnings. When “All In One SEO Warnings” is set to “ON” and the “All In One SEO Plugin” is active (if the SEO plugin isn’t installed and active, the ON option does nothing) the Stallion SEO Plugin checks the All In One SEO Plugin Options for damaging SEO options related to Noindex and Nofollow robots meta tags. Below is a breakdown of what each warning refers to. Default to NOINDEX: Posts, Pages or Media Enabled : Wastes link benefit and makes indexing a site by search engines harder. Never use this option on Posts and Pages, that would be SEO suicide. On Media still damaging, but not a disaster. : Significant SEO Damage. Note: in version 2.3.10.2 ticking “Posts” also adds a noindex meta tag to paginated home page archives. Default to NOFOLLOW: Posts, Pages or Media Enabled : Wastes link benefit and makes indexing a site by search engines harder. Never use this option on Posts and Pages, that would be SEO suicide. On Media still damaging, but not a disaster. : Significant SEO Damage. Note: in version 2.3.10.2 ticking “Posts” also adds a nofollow meta tag to paginated home page archives. Use noindex for Categories ON : Wastes link benefit and makes indexing a site by search engines harder. Causes significant SEO damage, this would result in ALL your Categories NOT being indexed in Google etc… Note: The Stallion Plugin replicates the NOT INDEX part of this setting via the option “Block All Categories”, but recycles some of the wasted link benefit. Use noindex for Date Archives ON : Wastes link benefit and makes indexing a site by search engines harder. With a site wide dated archive widget this can waste a LOT of link benefit! Ideally you would not use the monthly archive widget, wastes link benefit even without this dumb option. Use noindex for Author Archives ON : Wastes link benefit and makes indexing a site by search engines harder. Causes significant SEO damage, this would result in ALL your Author Archives NOT being indexed in Google etc… Note: The Stallion Plugin replicates the NOT INDEX part of this setting via the option “Block All Author Archives**”, but recycles some of the wasted link benefit. Use noindex for Tag Archives ON : Wastes link benefit and makes indexing a site by search engines harder. Causes significant SEO damage, this would result in ALL your Tags NOT being indexed in Google etc… Note: The Stallion Plugin replicates the NOT INDEX part of this setting via the option “Block All Tags”, but recycles some of the wasted link benefit. Use noindex for Search Archives ON : Wastes link benefit, search results can be indexed by Google and rank, so you could be loosing traffic. : Minor SEO Damage. Use noindex for 404 Pages ON : Wastes link benefit, 404 pages can pass link benefit : Minor SEO Damage. Use noindex for paginated pages/posts ON : Wastes link benefit, WordPress by default adds canonical URLs to paginated pages, (in effect 301 redirects link benefit to the main post, page 1) this option is SEO dumb. : Potentially Significant SEO Damage. Use nofollow for paginated pages/posts ON : Wastes link benefit, WordPress by default adds canonical URLs to paginated pages, (in effect 301 redirects link benefit to the main post, page 1) this option is SEO dumb. : Potentially Significant SEO Damage. Which is Worse, All In One SEO or Yoast WordPress SEO?